Celebrate Canada’s start in P.E.I. Prince Edward Island is where the idea of our country first took shape. 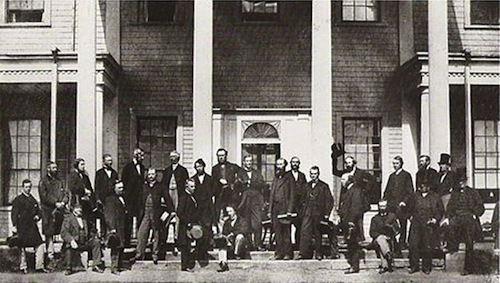 On Sept. 1, 1864, the Charlottetown Conference brought together representatives of the Maritime colonies and the province of Canada (present-day Quebec and Ontario) and the “Fathers of Confederation” laid the groundwork for Confederation, which became reality on July 1, 1867. 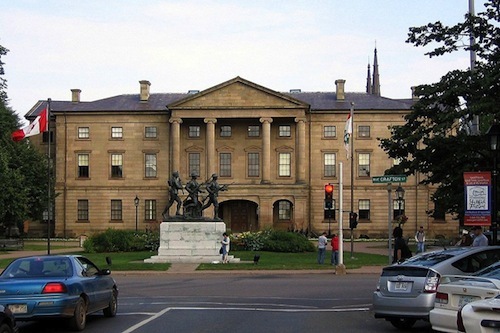 This summer marks the 150th anniversary of that conference and the historic moment will be celebrated in what many consider to be the birthplace of Canada – Charlottetown, P.E.I. There will be more than 150 different festivals, events and activities in the province. The 70 days of celebration, from July 1 until Sept. 7, feature daily concerts, theatre performances and comedy on the Atlantic Lottery/Red Shores Main Stage, cultural arts and heritage exhibits in the Canada Pavilion, chef demonstrations and local food tastings in the Culinary Pavilion, interactive activities in the Kids Pavilion, as well as historical walking tours. While celebrating Prince Edward Island’s history, and our nation’s, it would be remiss to not also highlight the long history of the province’s small but strong Jewish community. Prince Edward Island’s first Jewish settlers were recorded in a newspaper article about a celebration of Passover in 1908. The community grew very slowly, with only a dozen Jewish families reported as residing there before the Second World War. In the 1970s, a Torah scroll was brought to the island for the first time and there were the first recorded High Holiday services; 1976 marked the celebration of the first bar mitzvah there. “Coming here for the first time was almost like coming to Israel the first time. I felt like I belonged,” said Leslee Sack, a New York native who moved to Prince Edward Island in 2007. She is now the secretary of the P.E.I. Jewish Community (PEIJC). For 40 years, Sacks worked as a travel agent in New York; her office was in a building across from the World Trade Centre. She wasn’t at work on Sept. 11, 2001, but later found out her boss had sent everyone home after the first tower fell. “I would’ve been under building two waiting for the train,” she said. Deciding to make a change, she went on a Maritimes cruise and, after some deliberation, chose to settle and retire in Charlottetown. • Visit the PEI 2014 Celebration Zone at Confederation Landing Park on the Charlottetown waterfront on July 1 for a fireworks show, as well as daily concerts, interactive walking tours, cultural exhibits and more continuing through until Sept. 7. • Immerse yourself in the province’s history by attending a Belfast Historical Society Lecture Series event. • Pay tribute to the Fathers of Confederation during Founder’s Week from Aug. 28-Sept. 8, which features concerts, fireworks and other activities. • Get an inside look at the controversies for and against Confederation by visiting the Eptek Summer Celebrations from June until October. • Attend the Summerside Highland Gathering, filled with Celtic gift shops, live Celtic music and different clan tents. • If you’re interested in visiting Prince Edward Island, PEIJC tries to answer every email they receive through their website, peijc.org. Vicky Tobianah is a multimedia writer, editor and strategist based in Toronto. Connect with her on Twitter, @vicktob, or by email at [email protected]. Next Next post: Love to win? Or hate to lose?